The Humane Society said volunteers, community members, and even the acting director expressed concern over Paw Match's ability to care for the animals. 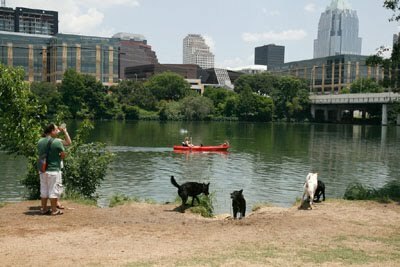 PawMatch.org was unavailable for comment Thursday, but the Austin Humane Society said Paw Match did meet the state's minimum requirements for animal shelters, but voluntarily closed. The rescue organization's website includes a photo gallery of "success stories." A Humane Society spokeswoman said this case shows state standards need to be raised. "It was critical that the folks that were concerned about this situation went through the motions that they did go through, otherwise the animals might not have received the care that we believe they deserved," Austin Humane Society Director Frances Jonon said. The Humane Society said nearly all of the rescued animals had tick infestations, and a number had parasites. Vets said the prognosis for all the dogs is favorable, and some will be up for adoption this weekend. Since it is "Adopt a Shelter Dog" month at the Humane Society, adoption fees have been reduced to $35. For more information, visit AustinHumaneSociety.org.